We’re ready to start your custom blow molded projects quickly for you. With 12 blow molding machines and our new location, we have 7 loading docks to serve clients. We can load and unload trucks at a fast pace. We just need a few things to get started with your project. 1. How many items do you need? Knowing the quantity of items you need will help us set up production of them fast. We have a low minimum quantity number and can produce high quantities with a fast turnaround. We invite you to call us to discuss how many products you want produced and the quantity of each to get started. 2. What are you producing? We need to know the basic project concept of what you are producing. If you have specifications already and a prototype, we can manufacture the products from that information with CAD software. If you have an idea, but don’t have the actual design specifications, then you can work with our in-house Design &amp; Engineering Services team. We work with the CAD platform and our expertise to select material, engineer, and provide quality assurance for each application. Our in-house Design &amp; Engineering team works with CAD software to produce a 3D design of the part with specifications and files that will work in our manufacturing process. If you do not already have the design produced in 3D, we can create the file for you. Once we have the basic parts of the process and product identified, we can produce a design of the mold we will use during manufacturing. We provide a detailed outlook of all aspects related to the manufacturing of the product. We offer attention to detail in the molds we create to manufacture the perfect part on the first run. Once the mold design is approved, we manufacture the mold build. We run the part on one of our lines using extruded blow molding machinery. 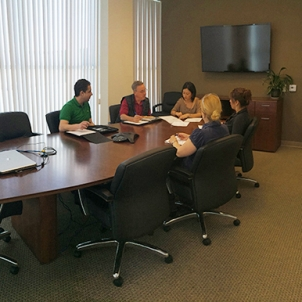 Our quality and assurance team tracks the product’s quality. We believe in lean manufacturing and have our process down to a science to product the best quality part or product for you. 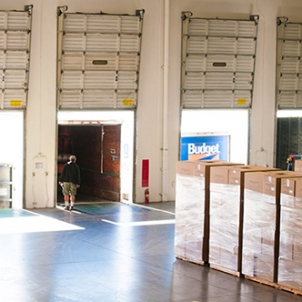 With 7 loading bays, we can load multiple trucks quickly to ship to your location of choice. Ready to get started with your custom blow molding product? Contact one of our quality blow molding team members to get a free quote or sample today.